← Inspiration from Mt Hope Farm Farmer’s Market – Buon Appetito! Jilllie Balm – The ‘bomb’ of healing salves! Claudia Arsenio of Runaway Farm in Dartmouth and Jillian VanNostrand of Seacoast Breast Health in Seekonk team up to produce one winning salve for every possible need. 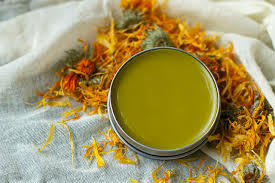 ‘Jillie Balm’ is a proprietary blend of organic and wild crafted, fresh and dried herbs, virgin olive oil and beeswax. Add to these powders = parts powdered Marshmallow root, comfrey root, echinacea root. Add 2X as much of the leaf & flowers: Yarrow, calendula, plantain, chamomile, lavender, nettle & comfrey. Mix together covering all with fresh st. johnswort infused olive oil. Cook over lowest heat 12 hours. Cool and strain through kitchen sack cloth. Add beeswax to desired thickness.